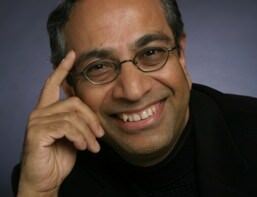 Dr. Khan is a Board Certified Psychiatrist and Adjunct Professor of Psychiatry at Duke University School of Medicine. Dr. Khan has been conducting clinical trials in the greater Seattle area since 1984 and founded the NorthWest Clinical research Center (NWCRC) in 1995. He has been the Principal Investigator in over 250 clinical trials. In addition, he has published more than 150 scientific papers in leading medical journals. His work on clinical trial design, safety and efficacy is widely recognized and presented at both national and international scientific meetings. Khan A, Warner H, Brown, WA. Symptom reduction and suicide risk in patients treated with placebo in antidepressant clinical trials: an analysis of the FDA database.Archives of General Psychiatry 57: 311-317, 2000. Khan A, Khan S, Leventhal R, Brown W. Symptom reduction and suicide risk in patients treated with placebo in antidepressant clinical trials: a replication analysis of the Food and Drug Administration database.International Journal of Neurpsychopharmacology 4: 113-118, 2001. Khan A, Khan S, Brown WA. Are placebo controls necessary to test new antidepressants and anxiolytics?International Journal of Neuropsychopharmacology 5: 193-197, 2002. Khan A, Kolts RL, Thase ME, Krishnan KR, Brown WA. Research design features and patient characteristics associated with the outcome of antidepressant clinical trials.American Journal of Psychiatry, 160(11): 2045-2049, 2004. Khan A, Faucett J, Lichtenberg P, Kirsch I, Brown, WA. A Systematic Review of Comparative Efficacy of Treatments and Controls for DepressionPLoS ONE 7(7): e41778. doi:10.1371/journal.pone.0041778, 2012. Storosum J, van Zweiten B, Wohlfarth T, de Haan L, Khan A, van der Brink W. Suicide risk in placebo versus active treatment in placebo-controlled trials for schizophrenia. Archives of General Psychiatry 60(4): 365-368, 2003. Khan A, Schwartz K, Stern C, Redding N, Kolts RL, Brown WA, Robinson D. Mortality risk in patients with schizophrenia participating in premarketing atypical antipsychotic clinical trials.Journal of Clinical Psychiatry, 68(12): 1828-1833, 2007. Khan A, Leventhal RM, Khan S, Brown WA. Suicide risk in patients with anxiety disorders: a meta-analysis of the FDA database.Journal of Affective Disorders 68: 183-190, 2002. Khan A, Ginsberg LD, Asnis GM, Goodwin FK, Davis KH, Kishnan AA. Effect of Lamotrigine on cognitive complaints in patients with bipolar I disorder. Journal of Clincial Psychiatry, 65 (11): 1483-1490, 2004. Marcus R, Khan A, Rollin L, Morris B, Timko K, Carson W, Sanchez R. Efficacy of aripiprazole adjunctive to lithium or valproate in the long-term treatment of patients with bipolar 1 disorder with an inadequate response to lithium or valproate monotherapy: A multi-center, double-blind, randomized study. Bipolar Disorders 13: 133-144, 2011. Hale M, Khan A, Kutch M, Li S. Once-daily OROS hydromorphone ER compared with placebo in opioid-tolerant patients chronic low back pain.Current Medical Research and Opinion 26: 1505-1518, 2010. Khan A, Kolts RL, Rapaport MH, Krishan KR, Brodhead AE, Brown WA. Magnitude of placebo response and drug placebo differences across psychiatric disorders.Psychological Medicine, 35(5): 743-749, 2005. Khan A. Seizure risk incidence in psychopharmacological clinical trials: an analysis of Food and Drug Administration (FDA) summary basis of approval reports.Biological Psychiatry, 62(4): 345-54, 2007. Khan A, Khan S, Leventhal RM, Brown WA. Symptom reduction and suicide risk among patients treated with placebo in antipsychotic clinical trials: an analysis of the FDA database.American Journal of Psychiatry 158(9): 1449-1454, 2001. Bower B. Placebos for depression attract scrutiny. Science News: April 29th, 2000. Vedantam S. Against depression a sugar pill is hard to beat. Washington Post: May 7th, 2002. Friedman RA. Can the placebo treat depression? That depends. New York Times: June 25th, 2002. Langreth R & Ruiz R. The forgotten patients. Forbes: September 13th, 2010.